When Preeti and I became parents, we had no idea parenting was going to be so difficult. 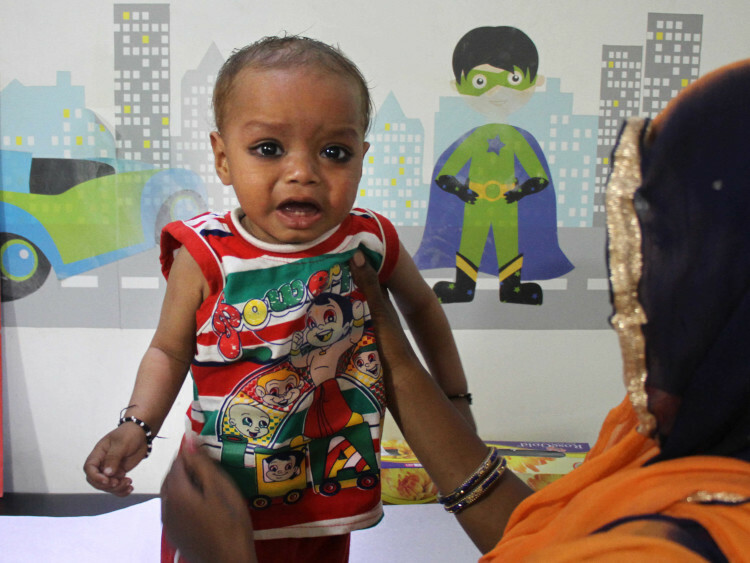 We can barely understand our 9-month-old baby, Raghav’s pain. Sometimes he’s such a happy child and sometimes he simply refuses to eat, he cries in pain and doesn’t sleep at all. My name is Neeraj and I am a proud father of 2 lovely boys. My 5-year-old son, Aarav, and Raghav have been the light of my life. In the process of bringing them up, I feel I have actually become more matured. My little modest house in a small town in Uttar Pradesh has never been so gloomy in all these years as it is now. I work in a society where I clean the tanks. Preeti works as a cook in a number of neighboring houses. I have never compromised with my work come what may. But a few months ago, I was suspended from my job. The reason was that I was trying to save my baby. 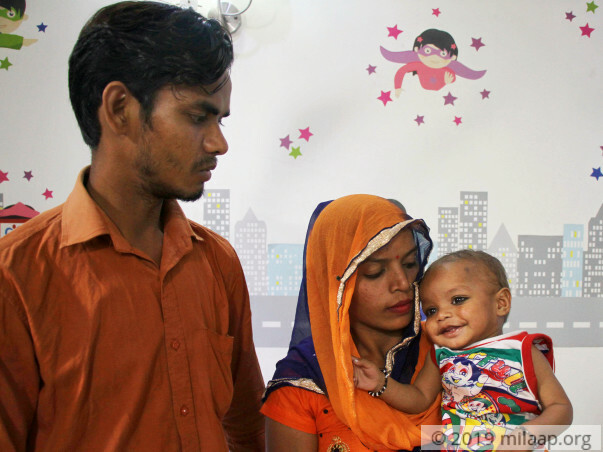 My little baby, Raghav was born absolutely healthy. Only when he was just 3 months old, we had pneumonia. We obviously thought that he will get better with the medicines. It was weird and heartbreaking for us to know that our little baby has a hole in the heart. We were a little relieved when the doctors told us that the hole could be closed with medicines in a considerable period of time. But after a few months, we went back to the doctors to find if he was fine when an even horrific news was awaiting us. The hole which was the size of a pea has gotten wider. This will turn fatal for him at any moment. A heart surgery is the only way to save him. 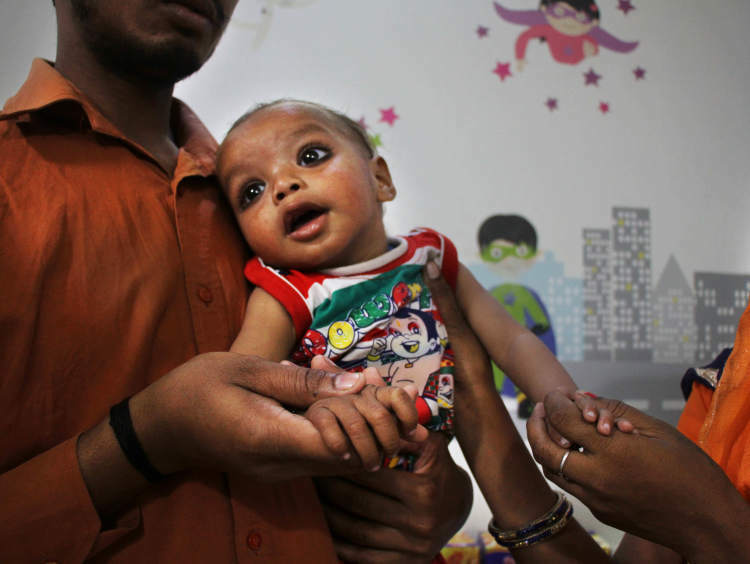 I can’t understand why such a small baby has to undergo so much pain. He hasn’t even seen a bit of the world. We figured that my little one’s recurring fevers, his breathlessness, and painful cries are a result of his failing heart. He spends his nights restlessly tossing and turning in the bed. It’s even painful because we are not even able to give our baby some peace. He cries so much and nothing seems to comfort him at all. His constant cries make him even breathless. I feel so helpless. Aarav goes to school. He used to return to his baby brother who would be eagerly waiting to play with him. But now Raghav doesn’t play at all. Aarav asks Preeti and me that when will his brother be fine and when will he be able to play with him. None of us have an answer to that. Aarav once even asked us if Raghav will die. It’s painful how circumstances force such little toddlers to grow up way more than their age. I have been running to the hospital for almost 6 months now trying to save my baby. I am scared that just like my previous job, I might lose this job too. Preeti is having even more difficult time. 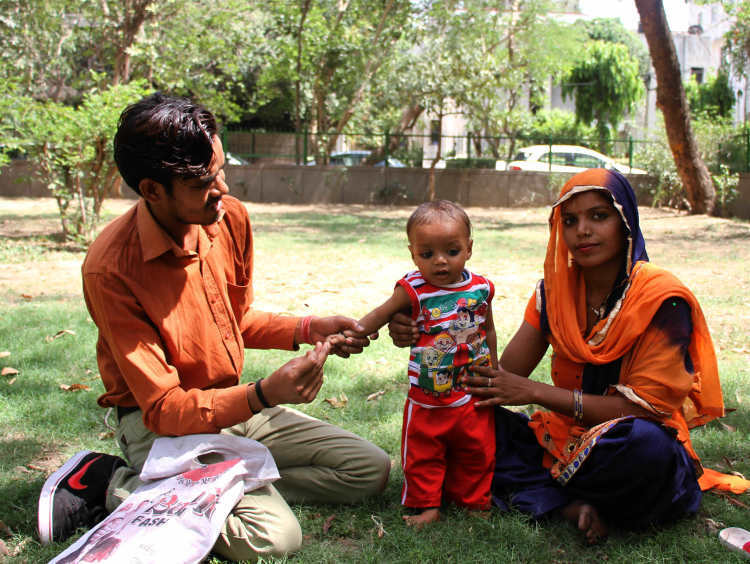 When she goes to work, she carries Raghav with her, and cooks while holding him in her arms. Preeti and I have put out our strongest front so far. Raghav's deteriorating condition is scaring us. We are losing hope. His medicines and consultations have cost us way more than we could have imagined spending in one go. The doctors have been kind enough to waive fees and grant discounts. Now, I have no money for surgery despite the low cost. We barely have relatives here. The ones that we had are also pretty poor to help us. I can’t even figure a way to save my baby. Yet I cannot stop looking for help. 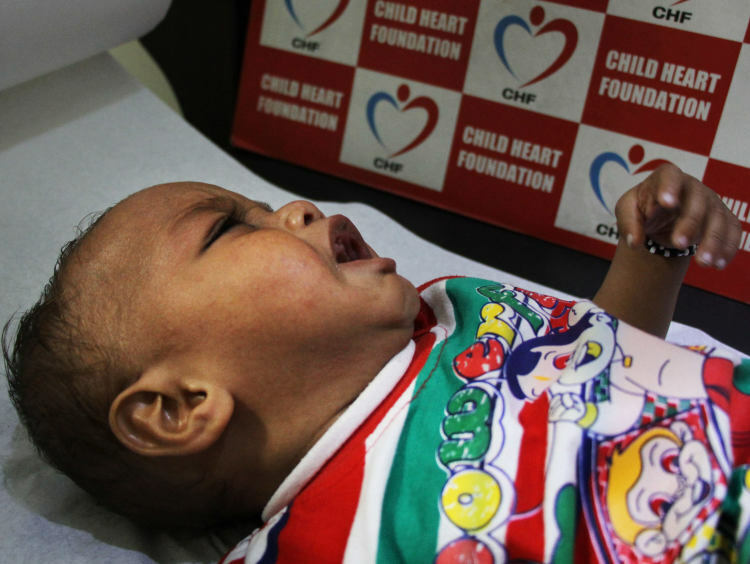 9-month-old Raghav can barely breathe and needs a heart surgery. If the hole gets any bigger, this baby boy will have heart failure. 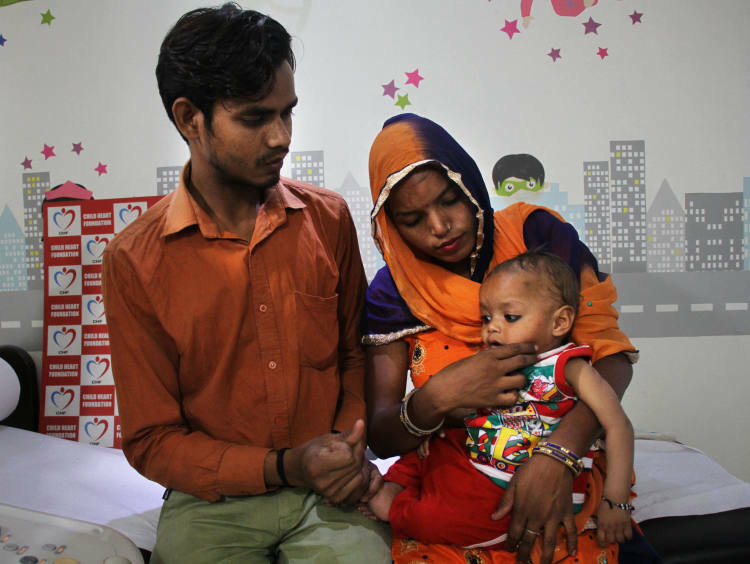 The cost required to save him is Rs 1.8 lakhs and the parents are at a loss of options to mobilize funds. 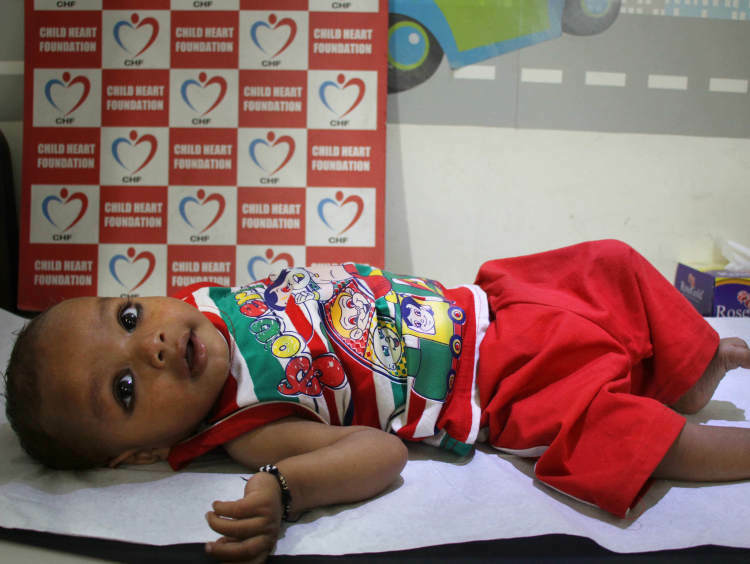 Your contribution can end this little one's misery and gift him a much-needed pain-free life.